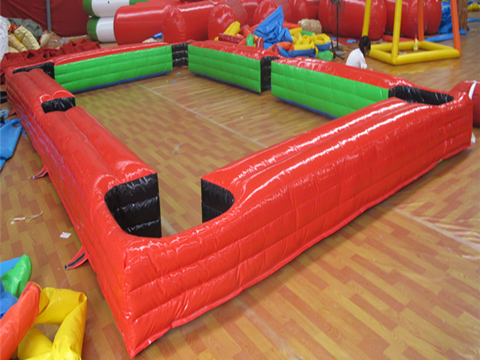 Welcome to buy snookball table from Beston Amusement.In our factory, there are three types of snookball table for sale, inflatable snookball table for sale, grand type snookball for sale and the popular type snookball for sale.These snookball table set will be attached with some snookball balls and a triangle. It is a new sport and entertainment rides for us. Snookball is an exciting new amusement rides that is quickly gaining attractions. 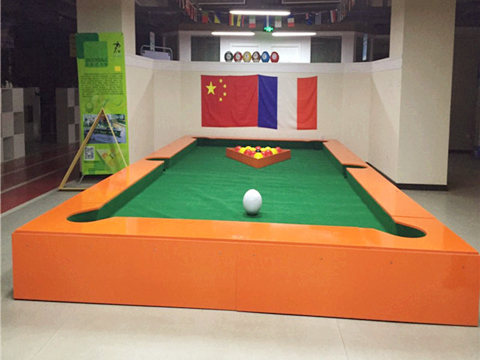 The snookball table combines soccer with snooker, a popular game that is played on a billiard table.For the snookball table rides, people will play on a large table-like structure which is placed on the ground instead of playing game on the traditional snooker tables. They are more interactive for people. Snookball is a good sport and games for us. Unlike the snooker, people on the snookball will actually stand on the snookball tables. In snooker, players use cue sticks to hit the balls around the table, much like they would if they were playing a game of pool. With snookball, however, the players actually stand on the table of snookball, in this way players will kicked the snookball balls into the holes directly.During the process, the feet of the players are act as the cue sticks. The snooker balls are replaced by a soccer like ball that is similar with the snooker balls, the only difference is that snookball balls are much bigger than the snooker balls. If you are interested in buying a new playing rides, considering snookball table, you can shop these tables online. There are many amusement rides manufacturer’s website that post new snookball tables.Because find manufacturers local is hard, online shopping will be easier, for example, Beston snookball tables. When we need to buying a new carnival rides, we need to consider their price. For snookball table. 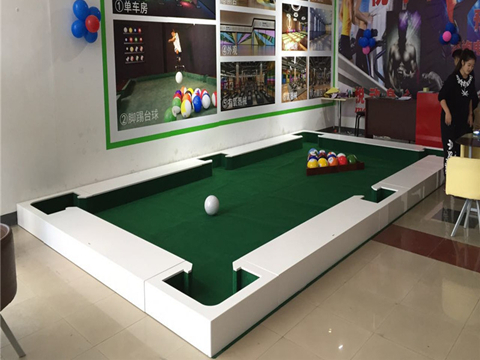 Three types of our snookball table are will different prices.Grand type snookball table can be higher than the popular type and the inflatable snookball tables. Beston is a trusted company who are manufacturing different types of snookballs.